Among the three upcoming Silent Hill games to be released in the first quarter of 2012 is Silent Hill Book of Memories. This isometric brawler does not scream a traditional Silent Hill experience to many fans, but Konami has promised that it will incorporate many series staples. I recently had a hands-on experience with the Playstation Vita title that has gotten many fans up in arms, and I’m still not very sure what to think of it. During my demo, I was assigned a specific chapter to play. Loading up the level revealed a somewhat cartoony art design. 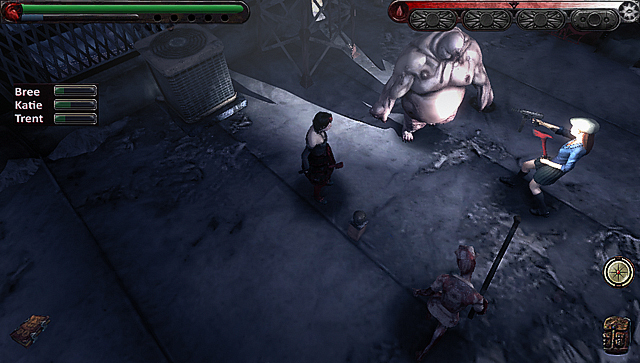 Character models and the environment seemed to be a bit more stylized than past games. Seeing as how the developer of Book Of Memories, Wayforward, is known for their whimsical art styles, this was not a surprise. Regardless, I was a bit under whelmed by the game’s graphic quality. The game didn’t appear to be very sharp. Objects were jaggy and not very detailed. Perhaps this was the fault of the demo’s build date, but I was still let down after seeing what the Vita is truly capable of. The character I was put I control of was a green haired girl. Full character customization is a part of this title, but I was not able to make my own during my demo. My starting arsenal contained a lead pipe and a hand gun. I also had access to a few “spells”, but I wasn’t all too sure how to use them. I ended up doing one that resulted in a floating character unleashing energy around herself. The spell menu can be accessed using the touch screen, or the rear touch panel. I toyed with this method but unfortunately some of the Vita’s inputs were not working at this stage. 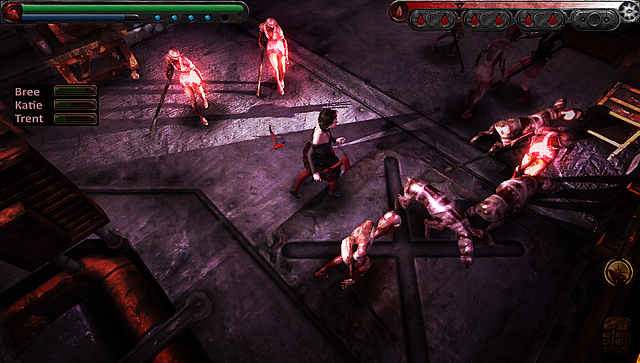 The level in which I was in was clearly based off of Silent Hill 4; that was immediately clear–which I liked. The level was largely gray with mold and water puddles. Toadstool were also in the environment. Killing them sometimes led to acquiring an item. At the start of the level, a returning face from Silent Hill 3 greeted me with a cryptic message. Valtiel gave me some advice and sets me forward into the first of the level’s many rooms. Environment are laid out in a grid. Each room connects either by a simple door or walkway. Below the walkways lies an abyss. What meaning this has to the story, I’m not sure. The game looks like a haunted house maze. Even though I was not stunned by the game’s graphics, I appreciated the design of the environments. Noticing which game in the series that the level was inspired by was nice. I hope to see many returning locations. Despite being in a level inspired by Silent Hill 4, Insane Cancers from Silent Hill 3, and Nurses from both Silent Hill 2 and Silent Hill 3 were enemies. Combat felt a bit awkward. 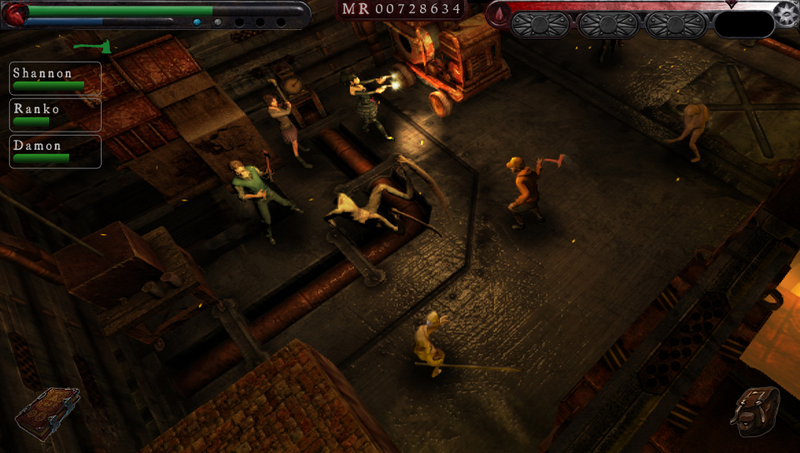 The level in which this demonstration took place was a bit later in the game, and the difficulty was something that took time to adjust to; I was simply thrown into a challenging section of the game with no knowledge how to engage enemies effectively; this is something that should be learned over the course of playing the title from the beginning. Therefor, I did not do so well against the level’s many enemies. This problem, along with the touch control issues I experienced made my demonstration a little difficult. Although I was a bit disappointed with my time with the game, this was largely due to difficulty and technological issues. I can see myself enjoying Book of Memories once it’s complete and fully functional. The gameplay style is simple enough to jump into (through natural progression of course) and seems like it will be an enjoyable handheld title. But as a Silent Hill fan, the most important aspect about the game to me will be the story. Despite the gameplay being a bit more accessible and not a traditional survival horror experience, I hope it can still be fun while still having a mind-bending story worth of the series’ name. Playing with friends may turn off more die hard Silent Hill fans, but this is a spinoff title and I look forward to trying out that feature of the game once it arrives in February. At the very same event in which I played Book of Memories for the first time, there was a new demo of Silent Hill Downpour. In this demo, Devin Shatsky guided the crowd of game journalists through never before seen areas. My previous demo of the game covered areas from the start up to Devil’s Pit. This demo was a cycle of different chapters of the game. Murphy made his way through an extremely detailed portion of the foggy town. As Devin guided Murphy through the back-end of homes, I was really pleased with the level of detail. All though this particular PS3 demo appeared to be at an earlier stage of development and lacked a lot of polish, the design of the town made me excited. The layout felt very natural and dense with detail. Another thing worth noting in this demo was the sound. As Devin guided Murphy into a building, the sounds were hard to ignore. 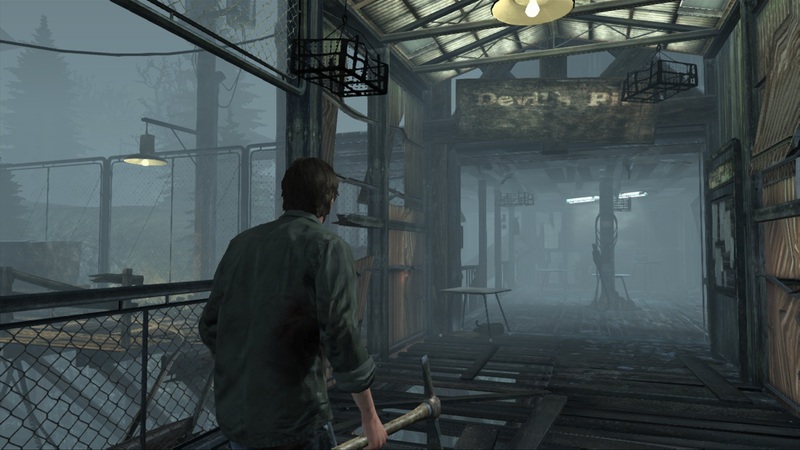 Like the past games in the series, Silent Hill Downpour is filled with sounds in a quiet environment. A strange noise that seemed to have no origin grew louder and louder but with no predictable encounter; it was purely to unnerve the player. This brought my mind back to scenes in Silent Hill 2 and 3 where a strange sound would play but with no result. This tension is something I extremely value and it appears that Silent Hill Downpour will do it right. Looking at the options menu of the game, I noted that the team has added an option to remove the shine effect on objects that can be interacted with. This was a fan concern for some time now, and it appears that the delay has allowed for the team to create a setting for it. The more I see of Silent Hill Downpour, the more I want to play it. Here’s hoping that my hopes won’t be crushed when it releases this March.